It’s official. I am an enlisted personnel of the army, The Dami Army that is. I have done this by pressing the Like icon button of her Facebook page and posting this article into this blog. I followed the progress and features of this year’s X Factor Australia initially by being so mesmerized by the Jai Waetford audition, this year’s first audition feature. But during that same first day of audition-features I was equally impressed by the most awkward looking lady singing Hero by Mariah Carey as her audition piece. But I totally became a fan when she performed during the bootcamp portion of the competition. There was a major mishap yet she rose to the occasion and performed a very beautiful number. She actually was dropped from the competition because of this. Yet fate I guess is truly on her side to become one popular artist because she was the one who got a surprise call when one of the finalists backed out from the show. From then on, I continued looking after how Dami Im has performed in the contest. 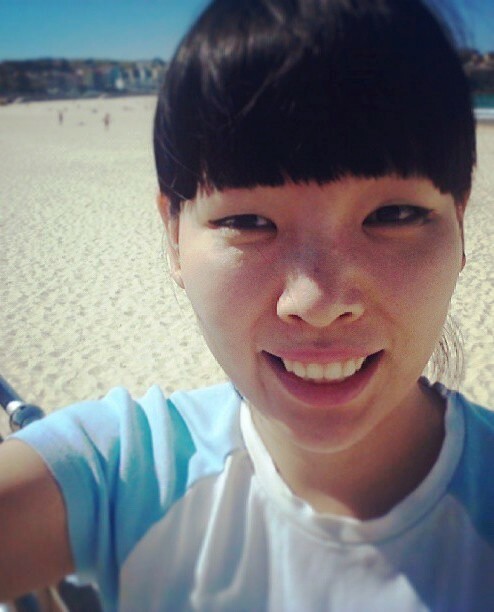 Dami Im is the personification of “awkward” being “the new awesome”. Her inelegance and gawkiness is so fresh and captivating. What is so damn great about Dami is when she starts singing her un-polish-ness just disappears right before your eyes and transformation into a remarkable singing talent just comes into sight. You would not believe that the awesome voice is actually coming out from such an awkward, down-to-earth and naive-looking lady. I guess her magnificent talent is coming from the pureness and sweetness of her heart. If she gets eliminated in the program, I think it is because she is too good for X Factor.